See Us at the Fremont Fair! 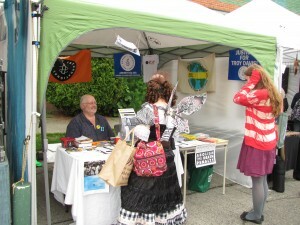 We’ll be having our annual booth at the Fremont Solstice Fair this weekend (Sat. June 20 & Sun. June 21). Stop by and sign out petitions! We’re booth B40 on 34th St. Our allies at the Washington Coalition to Abolish the Death Penalty (WCADP) will once again be joining us.